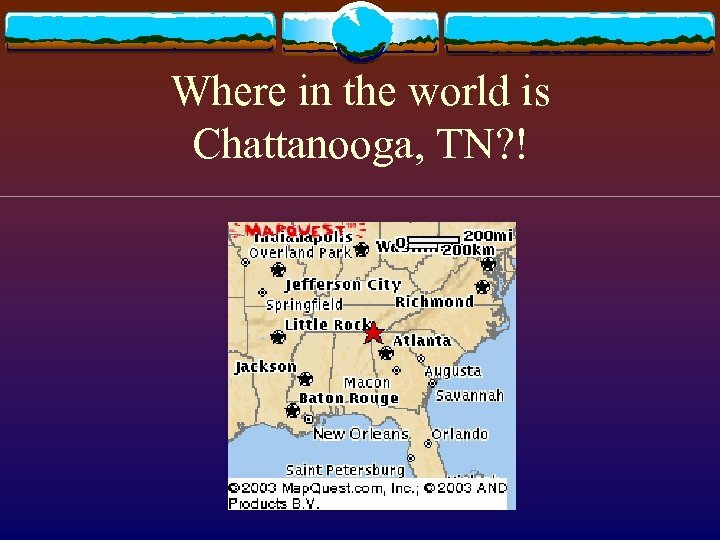 Where in the world is Chattanooga, TN? ! 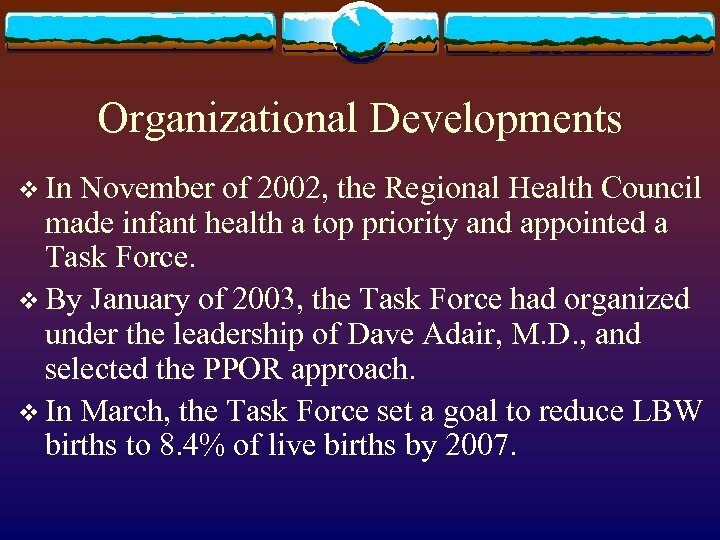 Organizational Developments v In November of 2002, the Regional Health Council made infant health a top priority and appointed a Task Force. 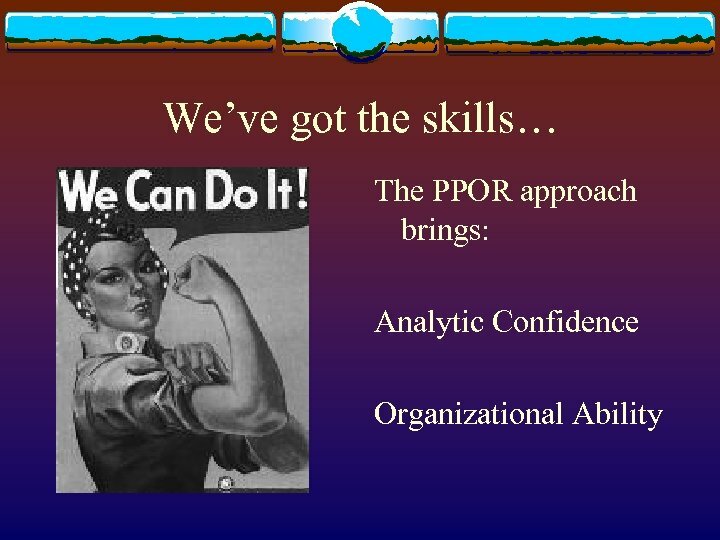 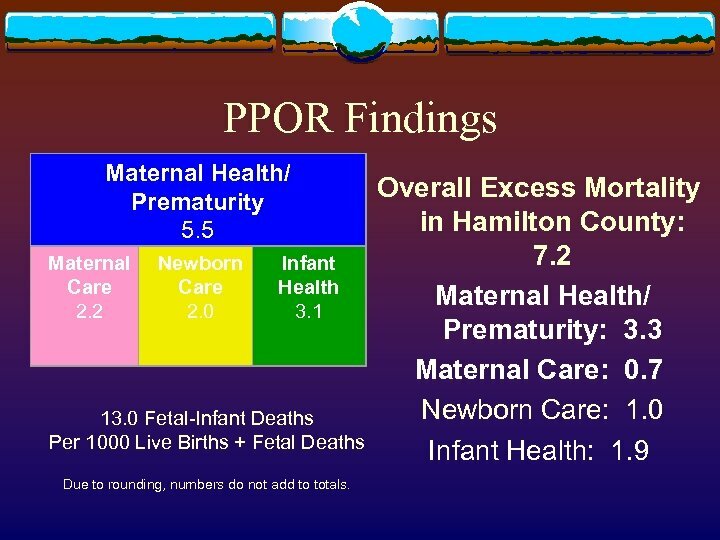 v By January of 2003, the Task Force had organized under the leadership of Dave Adair, M. D. , and selected the PPOR approach. 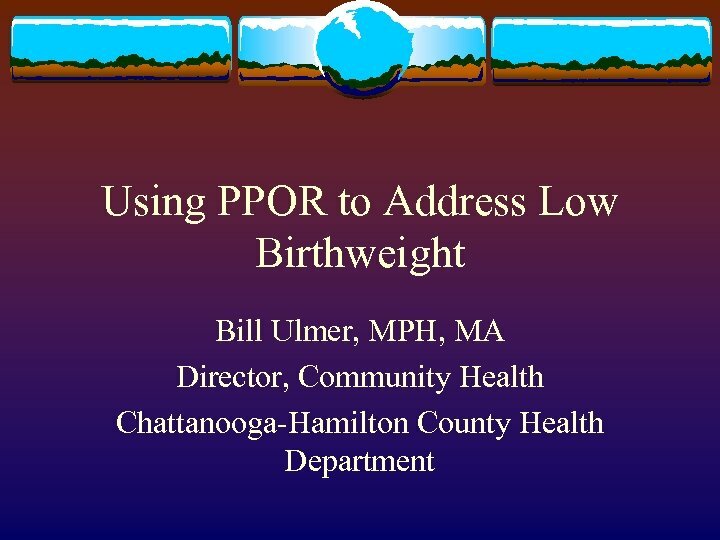 v In March, the Task Force set a goal to reduce LBW births to 8. 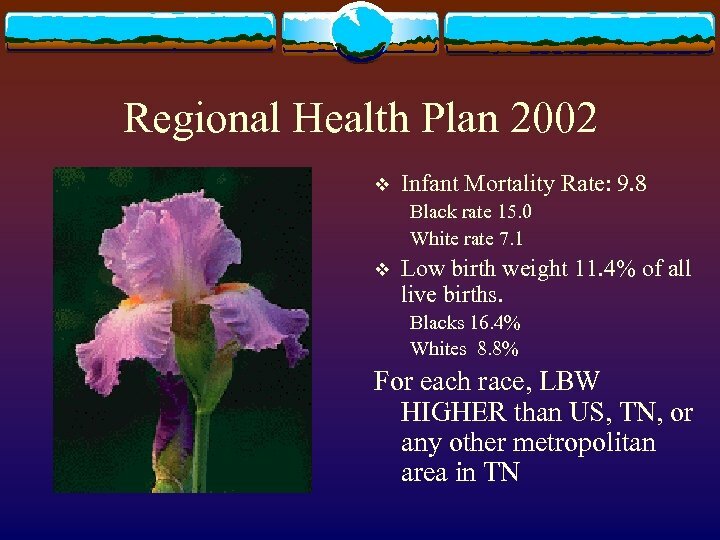 4% of live births by 2007. 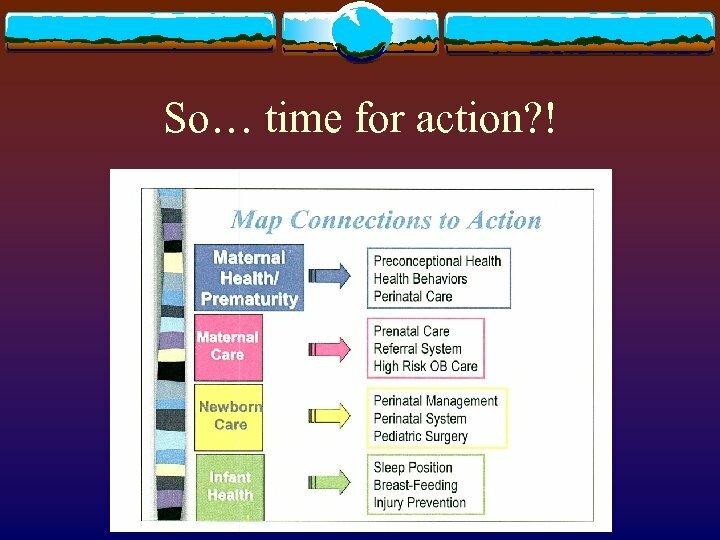 So… time for action? ! 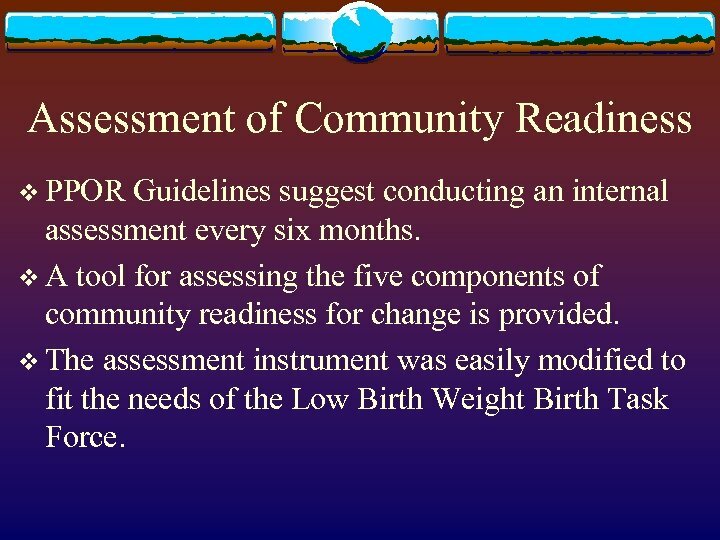 Assessment of Community Readiness v PPOR Guidelines suggest conducting an internal assessment every six months. 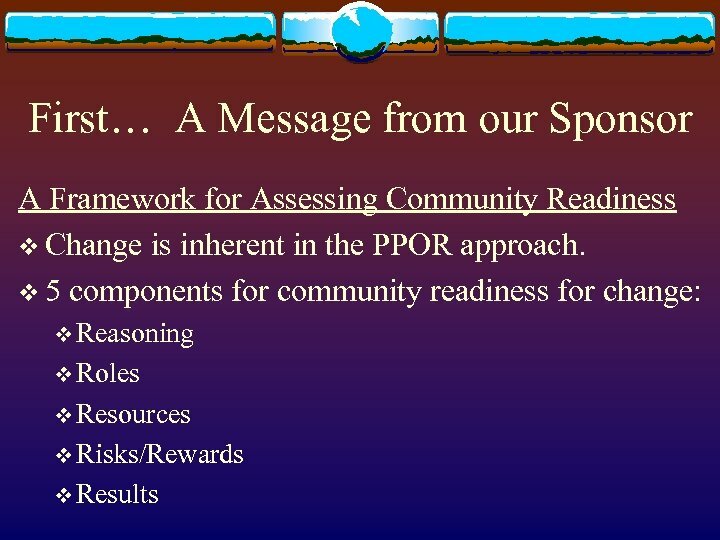 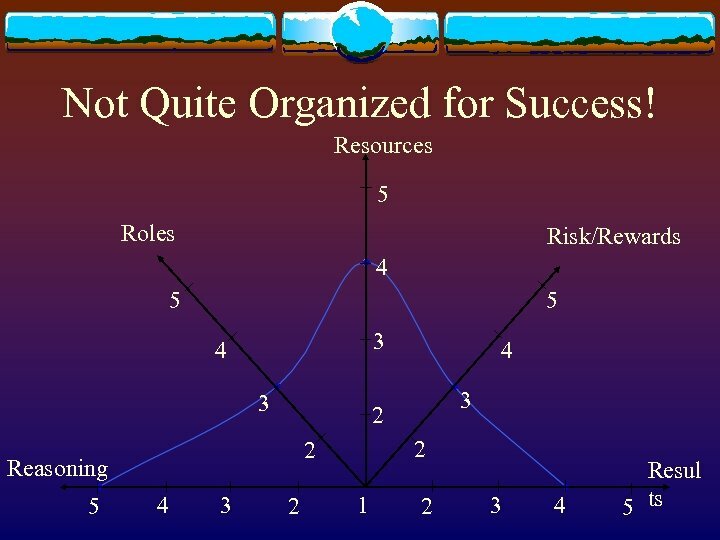 v A tool for assessing the five components of community readiness for change is provided. 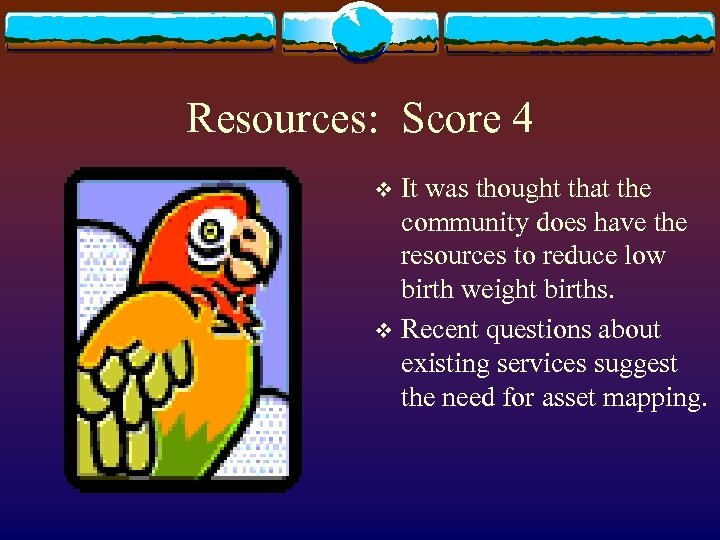 v The assessment instrument was easily modified to fit the needs of the Low Birth Weight Birth Task Force. 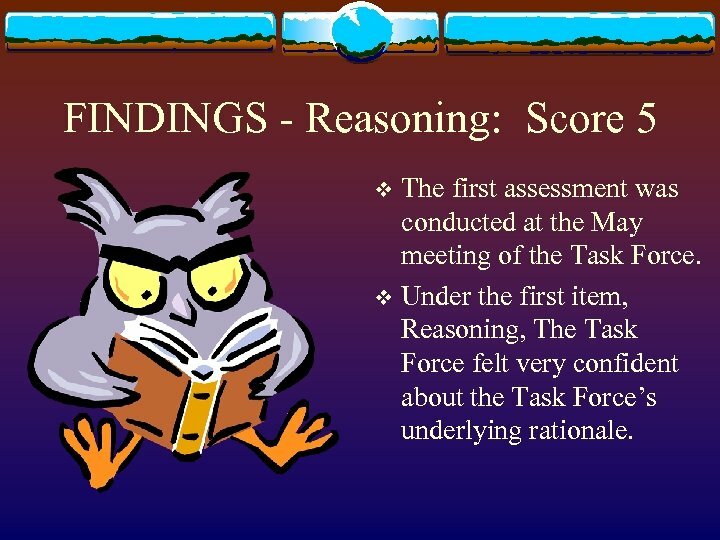 Results: Score 4 v There was discussion about the role of the Task Force: a planning body with no real authority to implement the strategies. 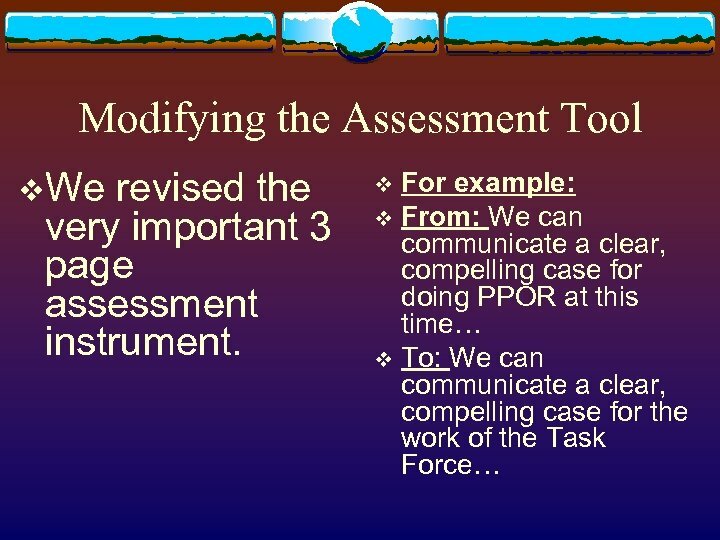 The need to move from a very general goal to more specific objectives was discussed. 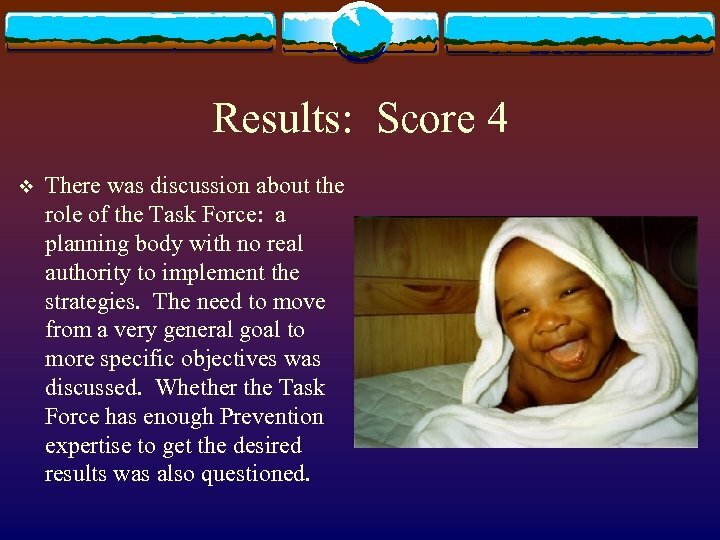 Whether the Task Force has enough Prevention expertise to get the desired results was also questioned. 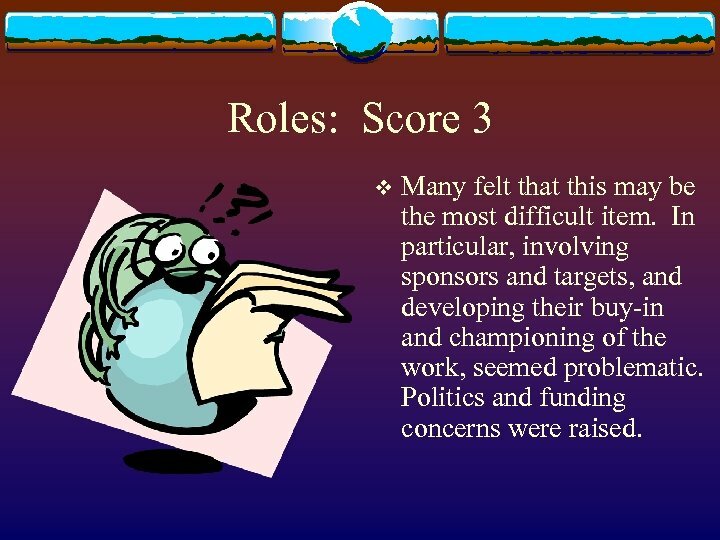 Roles: Score 3 v Many felt that this may be the most difficult item. 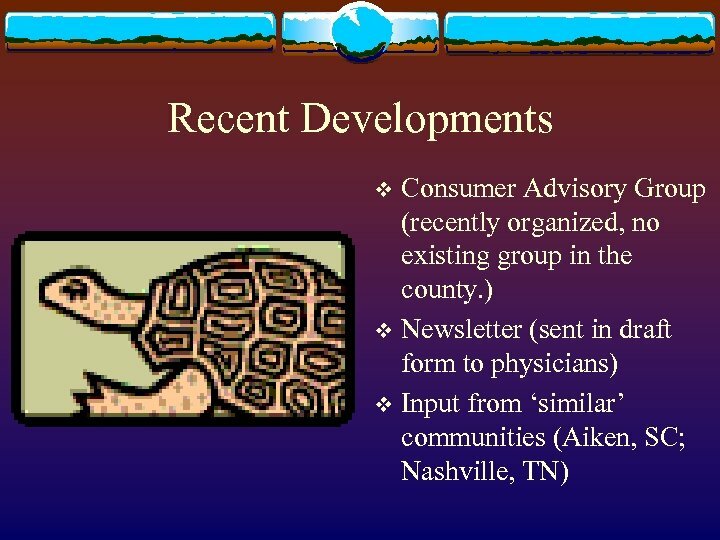 In particular, involving sponsors and targets, and developing their buy-in and championing of the work, seemed problematic. 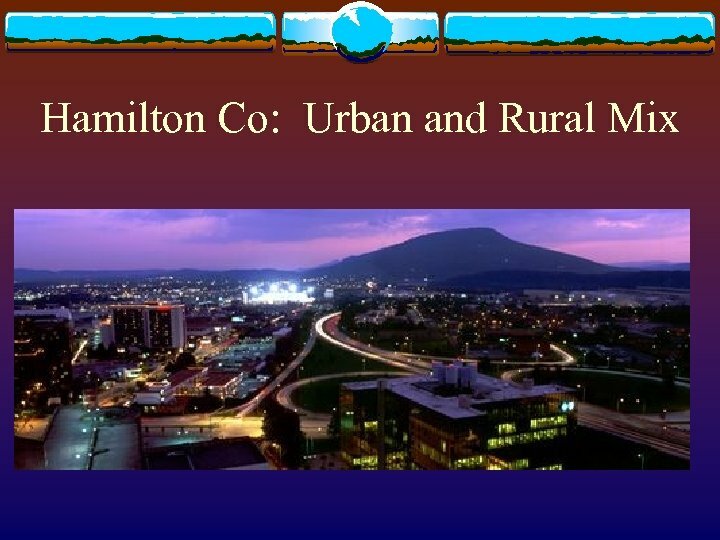 Politics and funding concerns were raised. 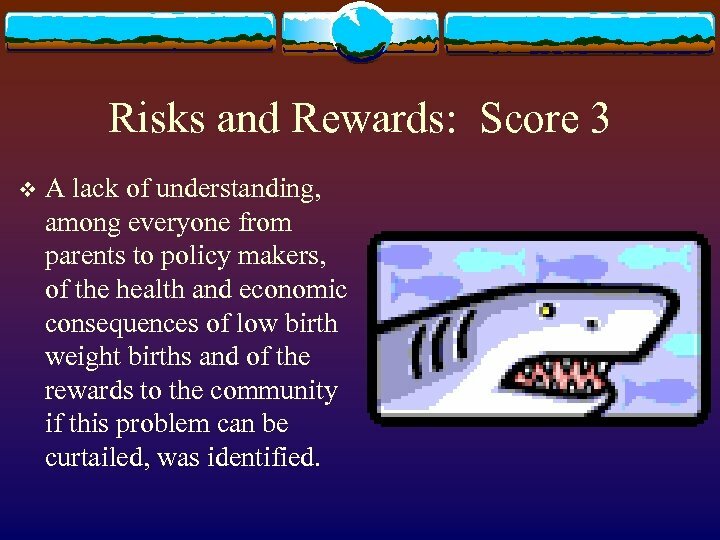 Risks and Rewards: Score 3 v A lack of understanding, among everyone from parents to policy makers, of the health and economic consequences of low birth weight births and of the rewards to the community if this problem can be curtailed, was identified.